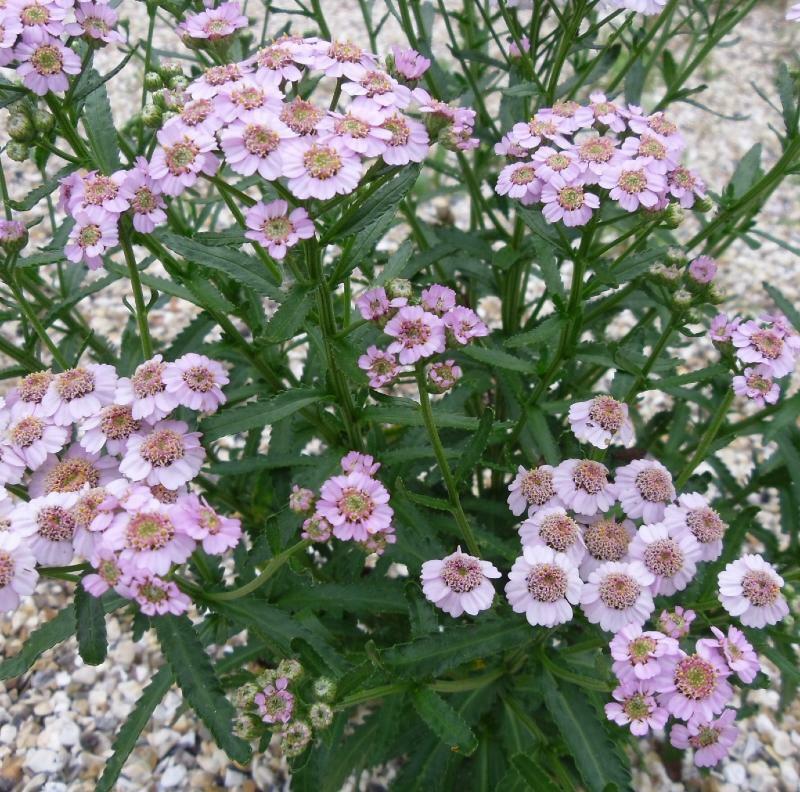 Achillea (common name Yarrow) are generally herbaceous perennials with fern-like, often aromatic, grey-green or silvery leaves and clusters of small daisy-like flowers in early to mid summer. They do well in relatively poor, well-drained sandy soils in full sun, and have good drought tolerance. Achilleas are a good choice for borders, gravel gardens, and prairie planting schemes. Taller Achilleas will require staking, and should be protected from strong winds to stop them from drooping. Deadheading and cutting the plant back to just above ground level after flowering helps to encourage new foliage and sometimes a second flush of flowers in autumn. The cut flowers can be used in arrangements or dried. Historically, Yarrow has been used as a medicinal herb for treating wounds and reducing blood flow, as well as for a variety of other ailments. Achillea sibirica ‘Love Parade' is a fine new hardy perennial, both for enhancing your border and for supplying attractive cut flowers. This lovely variety was developed from a newly introduced botanical variant of the species from Kamchatka, a peninsula in the far north-east of Russia. The highly ornamental and unique bright green, leathery foliage composed of narrow, lance-shaped, saw-edged and rather fern-like leaves is quite unlike many others in the genus. 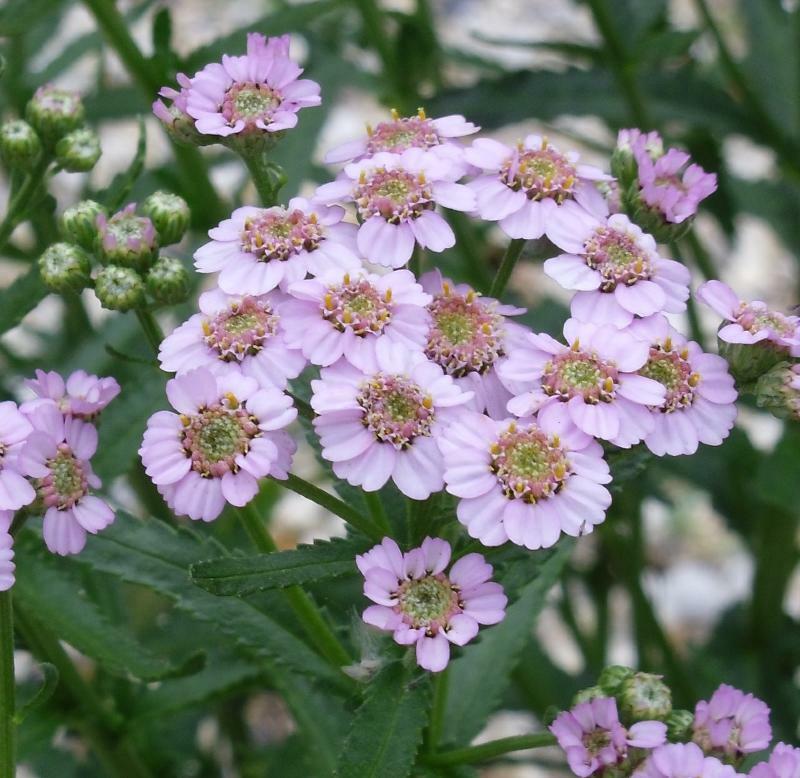 It bears from June to September flat-topped flower heads clustered with numerous large and lovely soft pink flowers with pale yellow stamens. Trim back hard after the first flush of bloom to maintain a compact habit. A good choice for borders, gravel gardens, and prairie planting schemes. 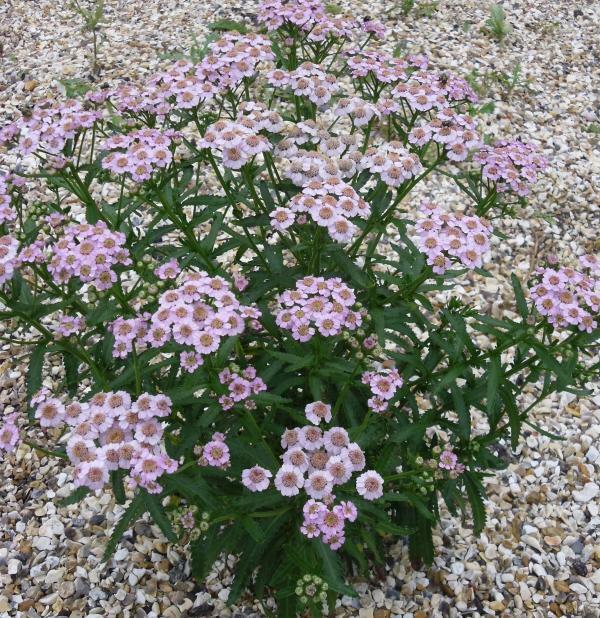 They do well in relatively poor, well-drained sandy soils in full sun, and have good drought and heat tolerance. Pruning \ Aftercare : Remove faded flowers to promote repeat flowering.